So, Day 1 had started the weekend well. However, Day 2 was to prove more challenging…. Sometimes I can guess what the weather will be before drawing back the curtains of the camper. The sun of the previous day was well hidden behind a curtain of mist. The trouble was, the Carneddau was equally hidden. Now, I can yomp across hills in the mist all day, and have a good time, but the aim was to give Shreyas and Ravi a good day – on top of poor visibility a cool wind was racing across the Carneddau plateau, an area not exactly well known for being sheltered. For a good day I would have to look elsewhere. Something worthwhile and interesting was called for, but with options if there was a sudden change in the weather. It just had to be Yr Aran. 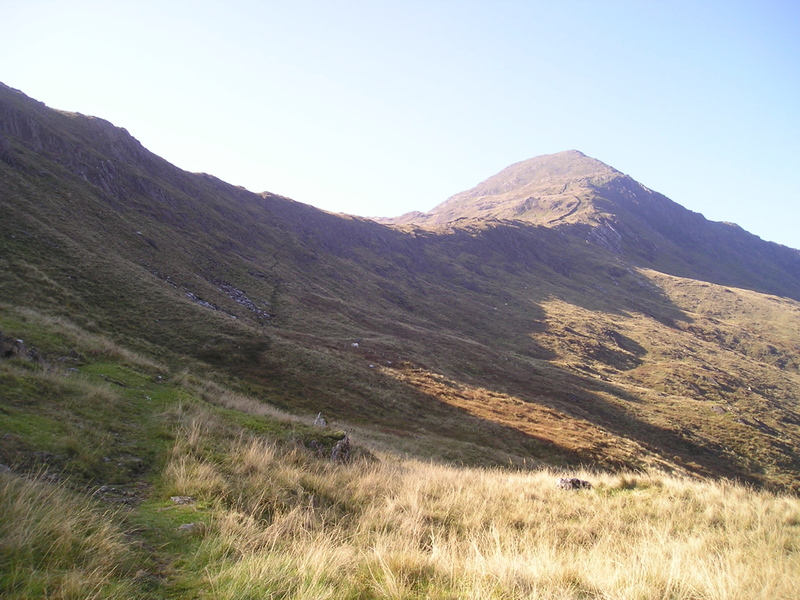 Yr Aran is a shapely and interesting mountain, but at 747 metres altitude, it isn’t the biggest by a long way. That suited the day just fine, because I was looking for quality, not biggest. Of course, I wasn’t going to get any reasonable photos – one grey cloud looks pretty much like another! No worries there, though, as I had a few in my image library, so the views you see here are the views that Shreyas and Ravi missed. In picking Yr Aran for the day I had also managed to stay in the original brief – Shreyas had asked for less crowded routes, and Yr Aran doesn’t seem to attract the crowds. 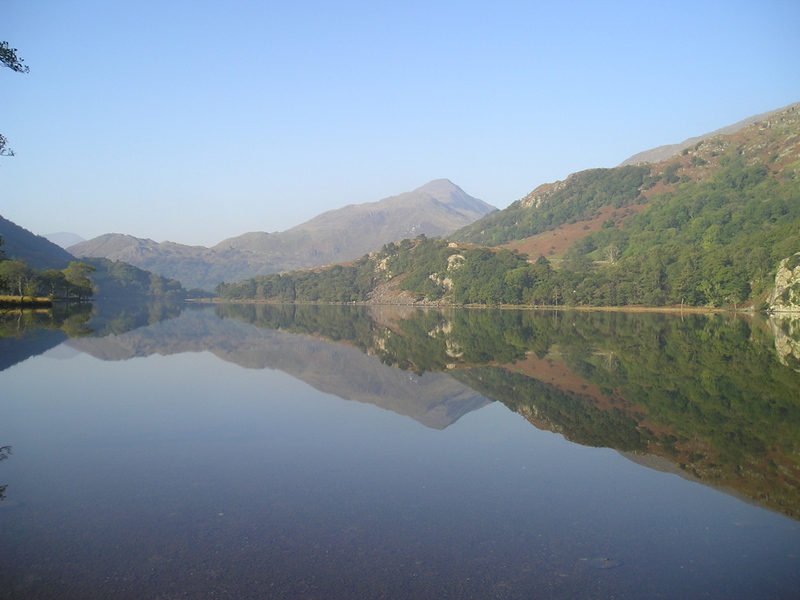 The reason is simple – Yr Wyddfa (Snowdon) is about 3 kilometres away, and that’s the one that everyone comes for. We started the route at Nantgwynant, where the Watkin Path heads off for Yr Wyddfa, but after the top of the fine set of waterfalls we left the crowds behind and headed for the West Ridge leading to the summit of Yr Aran. 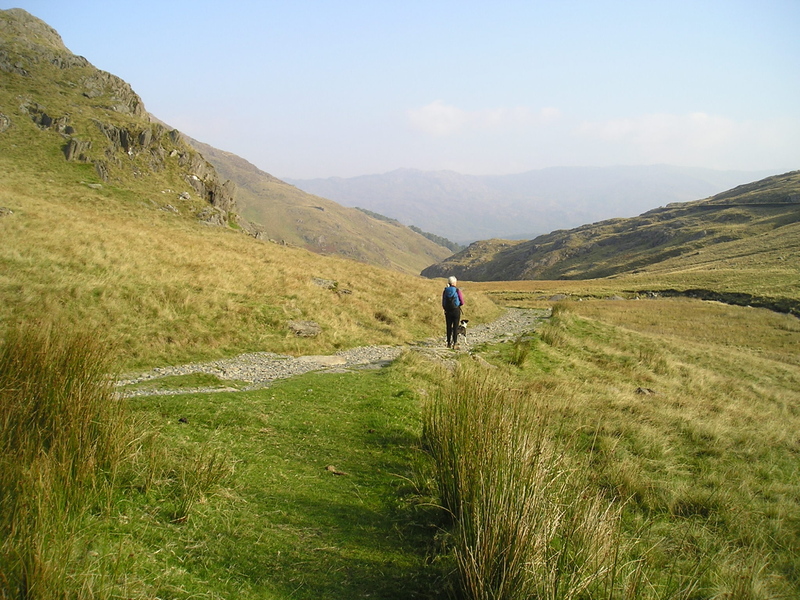 The word ridge often implies an exciting tussle between fresh air and gravity, but not so on this ridge. 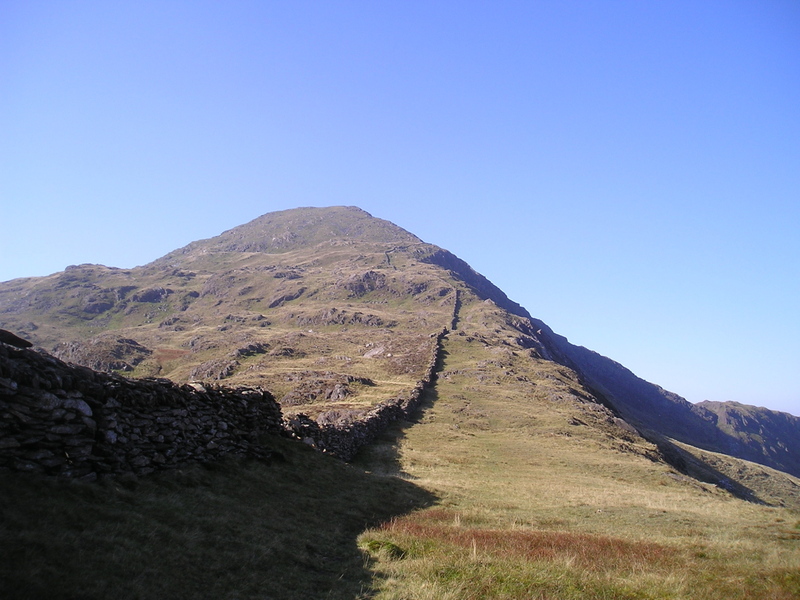 As ridges go, it’s fairly broad, with a stone wall running along the crest. The height is gained without any real grief, and the views of the surrounding hills are outstanding, and are yet another good reason to come this way. As the wall reaches a col with a descent on the other side, the route turns sharp left to head for the top. 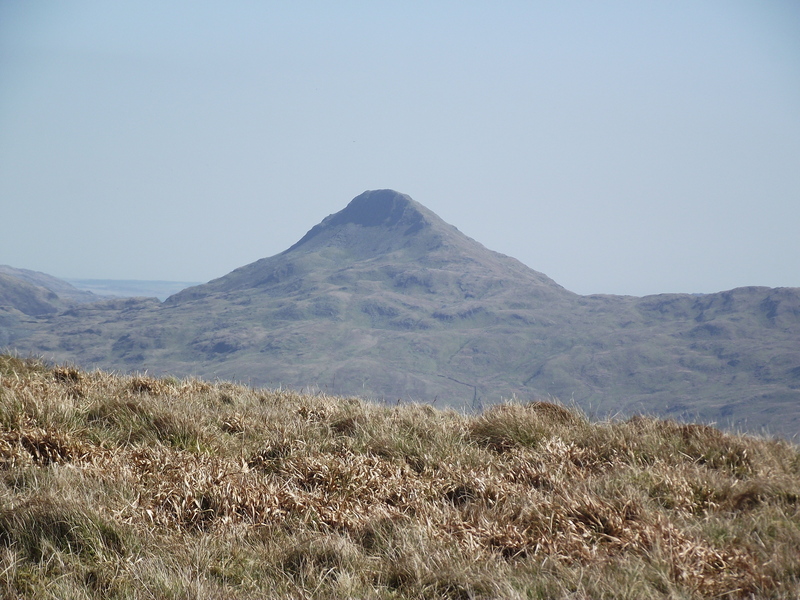 The summit is surprisingly small, but is a great place to admire Yr Wyddfa. Shreyas and Ravi had to take my word for this, as we had been in mist since leaving the Watkin Path near the waterfalls, but even with low visibility the route held interest. Following the time honoured ritual, lunch was at the top, before we returned to the col and the steep descent. The way down is a bit bouldery and scrambly at first, but not unpleasantly so, and as the angle lessened we came out of the mist at last. A steady walk took us back to the Watkin Path for a look at the Gladstone Rock. 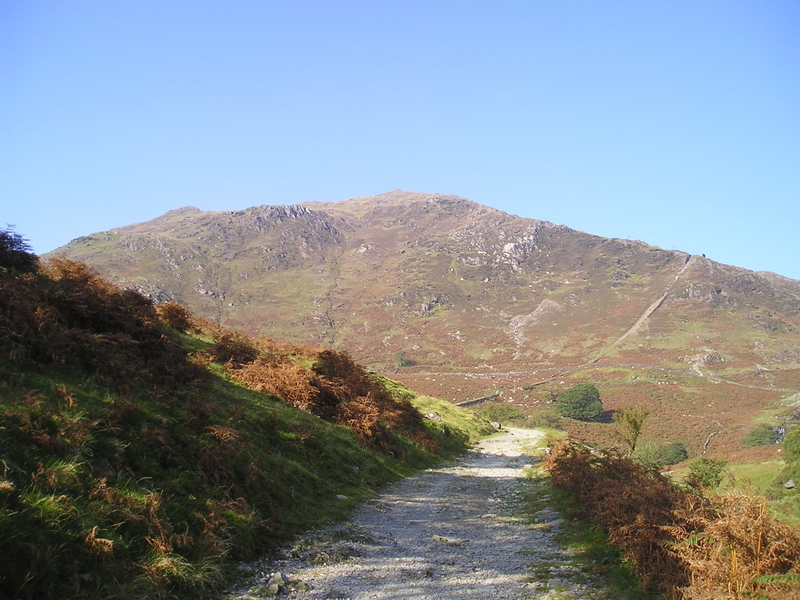 The Watkin Path has been described as, “the most demanding route direct to the summit of Snowdon”. It’s certainly not my favourite way, which perhaps fails to show gratitude to the railway entrepreneur Edward Watkin, who conceived and executed the idea of the path bearing his name. Edward was fairly well connected, and had his mate William Gladstone, the then Prime Minister, come along to the opening in 1892. Being a politician, Gladstone spotted an opportunity for a speech, delivered from what is now known as the Gladstone Rock. The day had been rescued, with an interesting way up an interesting hill, away from the crowds. So, two days done and one to go. As we headed back to Bethesda I was hoping for better conditions for the third and last day – we had a date with the Carneddau. This entry was posted in 5. 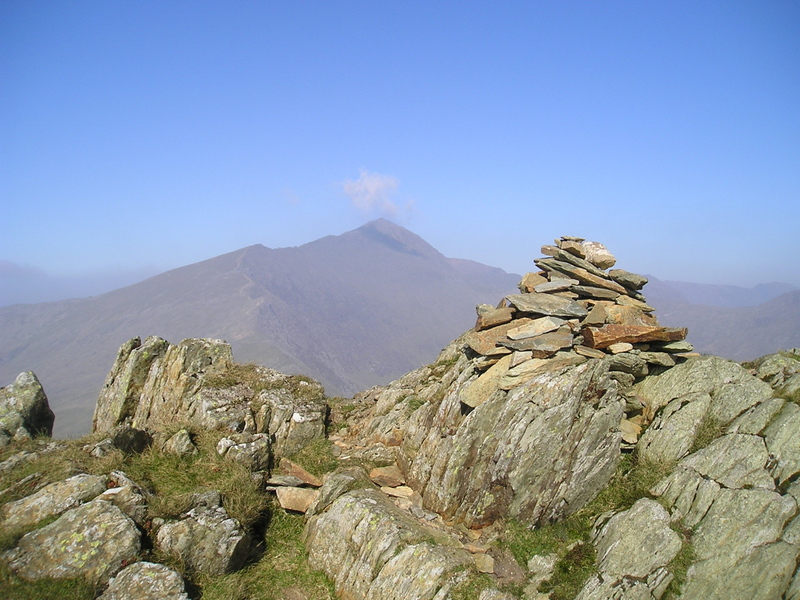 North Wales and tagged hillwalking, mountains, Snowdonia, Yr Aran, Yr Wyddfa. Bookmark the permalink.